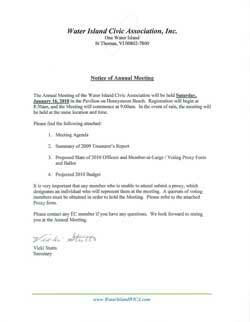 8:30am, and the Meeting will commence at 9:00am. 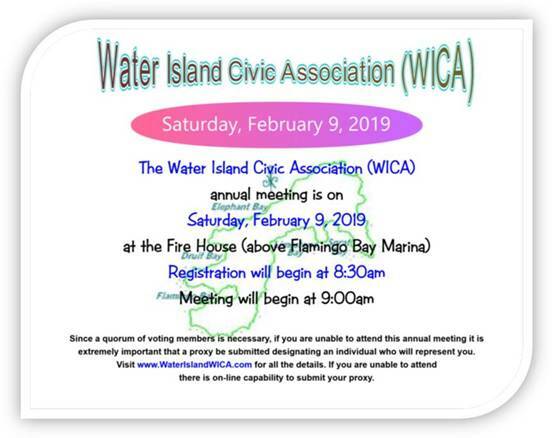 If you will not be attending the Annual WICA Meeting on Saturday February 9, 2019, please send in your voting proxy below. If you do not identify whom you want to receive your proxy it will be given to a random member in attendance. Thank you!